Feeling the Love with Italpasta! Valentines’s Day is a very special celebration in our home. Each year my DH and I do something small but special for each other. Last year we spent the night at the Chateau Laurier skated on the canal under a moon lit sky. It was very romantic. This year it was my turn to come up with something special, yet economical, to mark the day. We rarely eat out, as you can imagine with a family of five it can be very costly. My DH actually prefers to eat at home, so the answer was simple. I needed to create a unique dish filled with love. I floating around Pinterest and came found some delectable Italpasta recipes , these two dishes caught my eye. My daughters love to be in kitchen with me so this was real family effort. 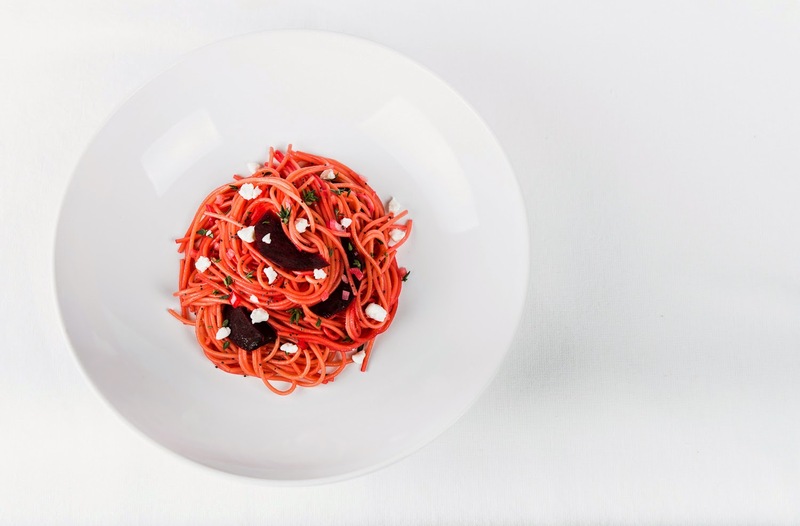 We decided to create the Spaghettini with Roasted Beets and Poppy Seeds recipe from Italpasta. This past fall we discovered how much we enjoyed roasted beets and we had never used poppy seed while cooking, only baking. Our first step was to roast the beets. I washed, peeled and sliced the beets in to thin slices, KT was in charge of adding the extra-virgin olive oil, garlic power and sea salt. The beets toasted for 25 minutes and we turned them once. While the beets were roasting we sauteed small shallots, green onions and coriander with unsalted butter over a medium heat. KT added the poppy seeds for toasting while I crumbled the soft ripened goats cheese. We cooked about 500 grams of Italpasta spaghettini, half for our love filled dish and the other half for the kids much loved butter noodles. The pasta was the perfect consistency for our taste in only six minutes. We divided the pasta and started to assemble the dish. The dish turned out perfectly! The flavours of the roasted beets, goats cheese, poppy seeds and Italpasta married beautifully together. Each bite was savoured! 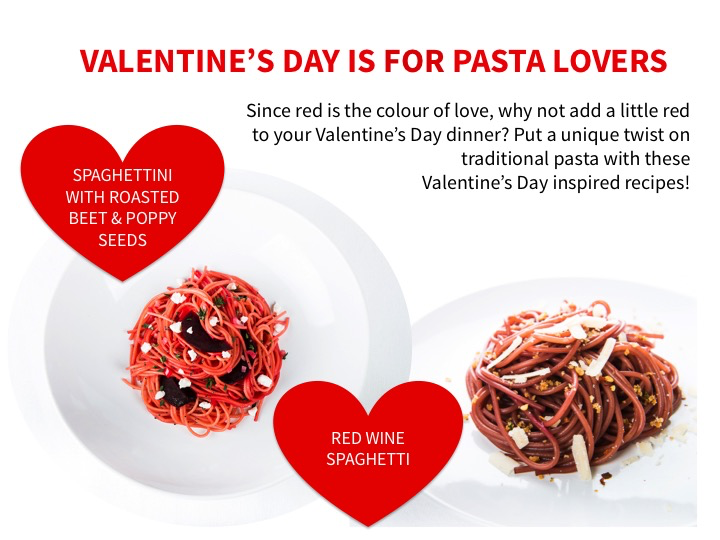 If you are looking for the rich red colours the recipe mentions you will need to save 1/2 a cup of pasta water. We, completely missed that part of the recipe but nonetheless, loved this creation. In total, working together, it took 30 minutes to create our dish. KT and I laughed at how white our pasta turned out, but learned how important it is to read the entire recipe! Would you like to win a Italpasta prize pack? Click over to my friend Sandy at Milk and Eggs and enter to win! You can also follow Italpasta on Twitter @ForPastaLovers and find more tasty recipes on their Facebook page Italpasta Limited . I also appreciated the informational YouTube videos which gave me a tutorial on cooking gluten free pasta. Below is the original recipe, KT and created out dish from. Happy Cooking! To the shallots and poppy seeds, add the chopped beets and thyme, stir for 1-2 minutes. Add ½ cup of pasta water to the skillet. Simmer the sauce over medium heat for 2 minutes. I was given a gift card to purchase the items needed to create my recipe. The thoughts, experiences and opinions are my own.